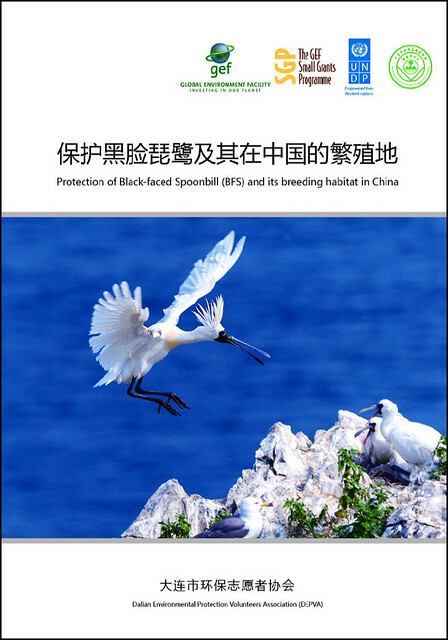 Protection of Black-faced Spoonbill (BFS) and its breeding habitat in China, a BFS conservation programme in Zhuanghe, Liaoning, supported by UNDP and GEF-SGP, was carried out by the Dalian Environmental Protection Volunteers Association from October 2013 to August 2015. The project aims to raise public awareness to protect BFS and their habitats, as well as other birds including Chinese Egrets and Saunders’s Gulls in the project site. The project sites: Yuanbao Island and Xingrentuo Island in Zhuanghe, Dalian are important breeding grounds for black-faced Spoonbill (BFS). BFS is listed as Endangered on the IUCN Red List of Threatened Species and in the ICBP Bird Red Book in 1989. 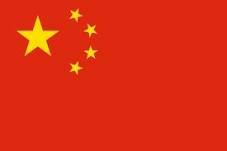 It is also listed as Endangered (enter into force: 1996) in the China Red Data Book of Endangered Animals. 1. Human disturbance caused by tourism development to BFS’s habitats, especially during the breeding season. 2. Limited vegetation needed by BFS on the islands. 3. Lack of timely rescue for injured birds. 4. Low awareness of local fishermen, villagers and tourists on the conservation of BFS and other birds. 1. Baseline surveys and trainings for community members. 2. Control the number of tourists visiting the island by such as setting up a 1000m long floating barrier around the islands, and regulate the behaviors of tourists during the non-breeding season. 3. Restore and protect the BFS habitats on Yuanbao Island and Xingrentuo Island by planting shrubs and trees, and building two freshwater pools and waste treatment facilities. 4. Establish a rescue center for injured BFS and other birds. 5. Outreach and public awareness-raising on BFS conservation. 1. 95 ha. of BFS habitat is under protection. 2. Protected 30 BFS and other birds. 3. Rescued all injured birds seen on the islands. 4. Enhanced people’s awareness on BFS and birds conservation (2000 villagers were involved). In October 2015 after its completion, the team published a brochure summarizing their achievements, project processes as well as problems and solutions in detail.